Don´t you just love getting a package? I do. It´s all the excitement of christmas and less trepidation ´cos I knew more or less what I was getting from my box this morning. Not only did it smell lovely but the Lujos sticker gave it away. Lujos, made in Andalucia, are natural products made from local Yunquera produced olive oil and only natural ingredients. I dived straight in with the divine smelling body cream on my arms and legs which are usually exposed to the sun are dry, they slurped it up instantly. No rubbing in shininess or greasy leftover. Just a lovely well feel like a good long massage. Next came the face cream. I have often used extra virgen olive oil on my face and need hours before seeing anyone as it leaves a wet-look sheen. 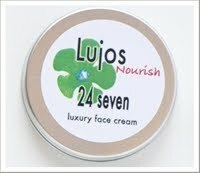 Lujos 24/7 face cream soaked so easily with no trace of a shine. My face feels nicely moisturized without any wet feeling. 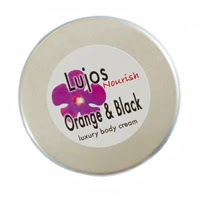 Then came Lujos hand cream and the nicest perfume yet. All the creams smell delightful, not strong, not heavy or chemically. Just pure, natural and lovely. So off I go to teach English this afternoon smelling wonderful. The mountain rain shampoo I still have to sample and the creams I´m going to use everyday and report back. 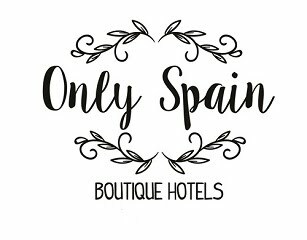 Watch this space and visit Lujos (pronounced "Loo- hose" which means luxury/luxuries in Spanish).